Yet, both movies are full of historical nonsense. For that reason, they should be catalogued with World War II propaganda movies. I am thinking of “Objective Burma” (in which Errol Flynn single-handedly defeats the Japanese army). A British sample is “In Which We Serve,” made in 1942, where Noel Coward plays the royal family’s naval hero Lord Mountbatten, showing British grit at its best. Tantalizingly, both “Darkest Hour” and “Dunkirk” are Brexit movies. They were made to allow moviegoers in Brexit Britain to wallow in the warm water of English nostalgia when Britain was utterly cut off from Europe. It was also a time when everyone on the Isles felt united and closer to the English-speaking Empire and the United States, rather than the beastly Nazis or cowardly capitulationist French. Unfortunately, the two movies are also shot through with historical howlers. In “Darkest Hour,” the broken Neville Chamberlain, the prime minister of appeasement, is presented as a bitter enemy of Churchill. 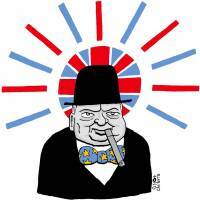 In fact, Chamberlain told King George VI to make Churchill prime minister as the only Conservative politician the Labour Party and trade unions would serve under in a wartime coalition. The film presents the Labour leader and postwar prime minister, Clement Attlee, as a ranting demagogue denouncing Chamberlain in a bitter House of Commons speech. Attlee never made such a speech. He was a determined socialist but a mild-mannered public school and Oxford educated middle class politician who never raised his voice, waved his arms around or shouted when speaking. Both films show the evacuation of British troops from Dunkirk as a miracle performed by hundreds of pleasure craft and small boats hastily commandeered on southern English coastal resorts and fishing boat harbors. The vast bulk of the 330,000 British and allied soldiers brought back from Dunkirk embarked from a long pier onto 40 British destroyers and cruisers. The film ends with Kenneth Branagh playing a Royal Naval officer bravely staying behind to help French soldiers evacuate to England. In truth, 100,000 French soldiers — about a third of the total — were brought back to England at the same time as the British Army. The French Army lost 40,000 men defending the Dunkirk evacuation perimeter. And yet the sacrifice of French soldiers is written out of the movie, which presents the story as one of English heroism and glory. Similarly, in “Darkest Hour,” French politicians are presented as drooling idiots, in contrast to stiff-upper lipped Brits. “Dunkirk” has a Spitfire landing gently on the water, floating for a while as a dramatic struggle to save the pilot unfolds. The Spitfire’s Merlin engine weighed 3 tons and any plane landing on water would have tipped over front-first to sink instantly. “Darkest Hour” has a surreal scene in which Churchill takes the London Tube from Downing Street to the House of Commons — a three-minute walk. On the Underground, the new prime minister exchanges verses from Macaulay’s Lays of Ancient Rome with a cheerful young black man. There were a handful of Afro-Caribbeans in London in 1940, but Churchill never took the Tube and it is doubtful if any MPs today would know by heart Macaulay’s patriotic inspiring lines. The black Briton reciting verse is a nod to today’s Hollywood and is ahistorical. It is also worth recalling that prewar Tory appeasement policy allowed Hitler a free hand in the Rhineland, the Spanish Civil War, Czechoslovakia and Austria. Meanwhile, Labour leaders knew from their social democratic comrades in Germany and Austria, from trade unions and a network of Jewish contacts, what Hitlerism amounted to. Churchill’s motivations in opposing Hitler’s Germany had nothing to do with the latter’s ideology. Churchill was concerned with Germany’s hegemonic ambitions in Europe which he saw as a strategic threat to the British Empire. This was why the strongly anti-Labour and anti-trade union Churchill combined with Attlee, Labour and the U.K.’s trade unions in a coalition against Hitler. That broad domestic alliance helped defeat Nazism (with more than a little input from the Soviet Union, and in due course from the United States). 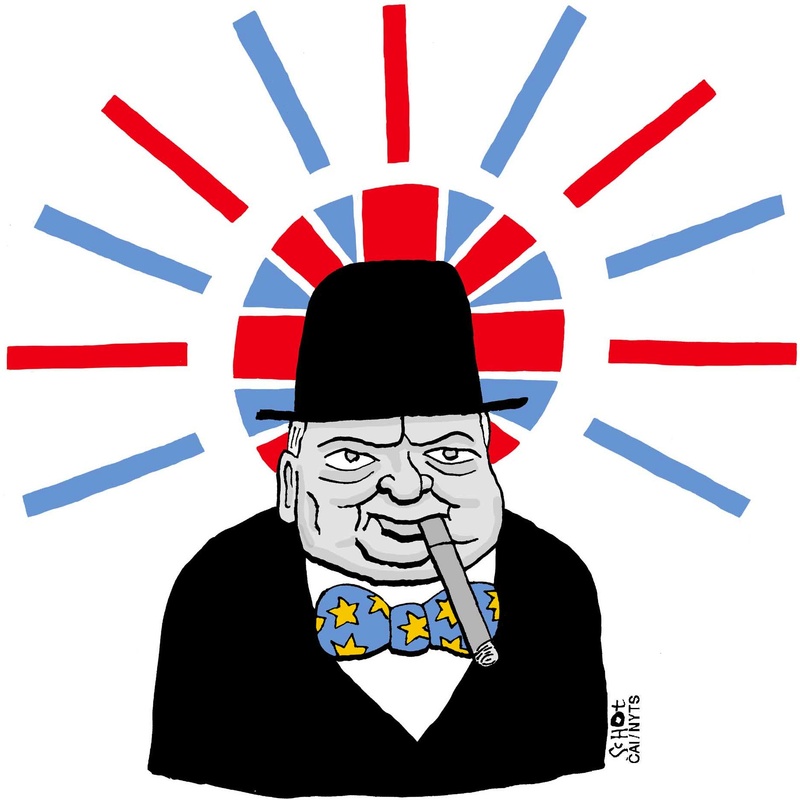 In 1946, Churchill, then out of government, but to his credit, called for the creation of a “United States of Europe.” In contrast, Attlee’s Labour government resisted any role in the first steps toward European integration in 1950. As a former MP, I can say that the scenes in “Darkest Hour” of the House of Commons are just wrong. It is an intimate conversational chamber — not one where MPs orate and thump the dispatch box and wave their arms in the air. Perhaps none of this matters. A movie is a movie, not a historical monograph. But both films are peak nostalgia about a Britain utterly disconnected from Europe and, presumably, all the better for it. They belong to today’s Brexit-era propaganda about an invented Britain in 1940 that never existed.